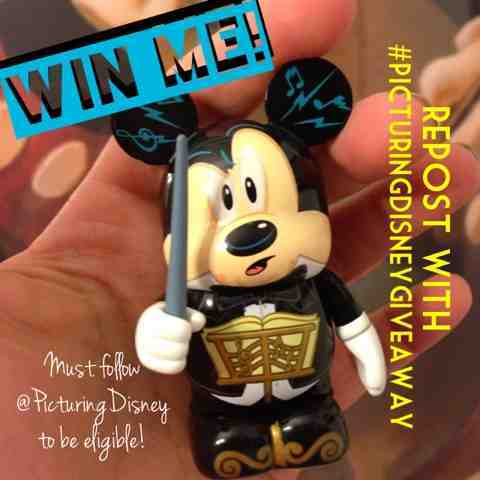 Picturing Disney: Mickey Mouse Vinylmation Giveaway! Are you a follower of Picturing Disney on Twitter and Instagram?? If so, here's your chance to win an adorable vinyl (and if not come follow and repost for your chance to win)! 2. For a second entry head on over to my Twitter account (www.twitter.com/PicturingDisney) and follow me. Then, retweet the pic with same tag! Contest is open to US residents only and ends on May 31st at midnight! I will use the total number of posts and then choose a winner through random.org.